What’s happening in 3D printing? As a brand new technology with a lot of promise, 3D printing is constantly evolving. The technology is constantly getting better and more affording. People are also thinking of brand new ways to use 3D printing’s unique capabilities. IKEA has started using 3D printing to create furniture add-ons for people with disabilities with their ThisAbles initiative. The focus is on creating items that help people with muscular disorders like cerebral palsy use IKEA’s products. While the designs are not sold globally yet, IKEA has uploaded them and assembly instructions on the internet. Dimensional research released the results of its independent survey on 3D printing, 3D Printing at Scale, which targeted 3D production stakeholders and manufacturing decision makers. 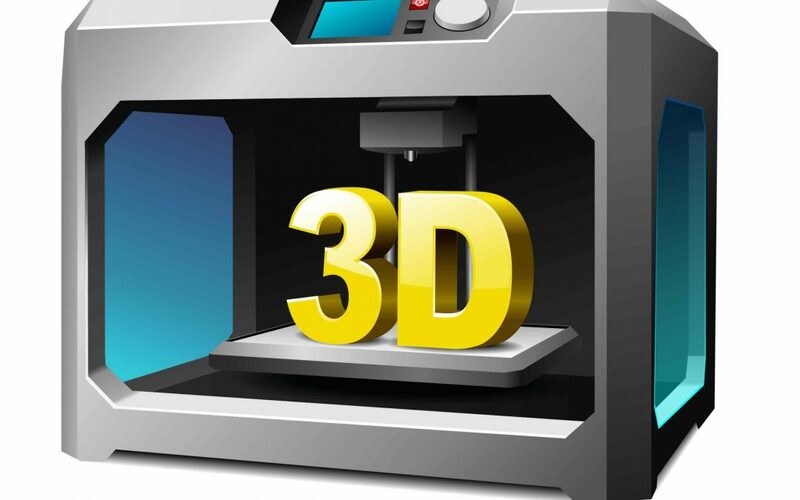 The survey has revealed that 3D printing is starting to be seriously seen as the production technology of the future. The Fraunhofer Institute for Machine Tools and Forming Technology (Fraunhofer IWU) in Germany have just developed a new high-speed 3D printing process called Screw Extrusion Additive Manufacturing (SEAM). While standard methods (FDM, or fused deposition modeling) have an output of 60 grams of material an hour, the SEAM machine has an output of 10 kilograms an hour. Copper3, a Chilean/U.S.-based company, has signed a deal allowing the resale of their 3D printed antibacterial filaments in the U.S. These filaments play a critical role in a lot of biotechnology and other medical devices, especially prosthetics. Researchers at University Wisconsin-Madison have created a 3D printer that produces objects composed of different materials by selectively emitting wavelengths, potentially solving one of the many issues that stand in the way of the widespread adoption of 3D printing. If this technology continues to develop and becomes widespread it could allow for more complex systems. At Boston University, engineers have created a 3D-printed metamaterial noise canceller that absorbs sound like allowing airflow. The doughnut-shaped structure absorbs 84% of sound. The production of this metamaterial is only possible with 3D printing thanks to its complex and intricate structures that cause sound reflections. The metamaterial could be used in loud environments to keep workers safe and substantially reduce noise pollution, among many other possible uses. In Australia, a “repairbot” has started to use 3D printing to help repair cars. The robot 3D printed a lug directly onto a headlamp. The project is the product of collaboration between automation company Tradiebot Industries, automotive aftercare firm AMA Group, and the Swinburne University of Technology and was backed by the non-profit Innovative Manufacturing Cooperative Research Centre (IMCRC). The project’s goal is to use 3D printing to help provide same-day, low-cost automotive repair services. CNH Industrial has released its first 3D-printed spare parts for buses and agricultural equipment. This is part of the company’s efforts to integrate additive manufacturing into its supply chains, which will help reduce material costs and increase overall product availability. 3D printing costs 95% less than conventional manufacturing methods the company previously used. It also has a shorter turnaround time, which can make all the difference for a farmer with a broken-down tractor. In Sweden, municipal governments are considering using 3D-printed food to help feed disenfranchised groups. The idea has seen some success in providing meals for the elderly. These meals have been designed to provide nutrition and also be appealing in appearance and texture. At UC Berkeley, researchers have created a light-based printer they’re calling “the Replicator”. It utilizes light rays to print liquid resin quickly, forming objects all at once rather than using the more common layer-by-layer process seen in most 3D printers. What really stands out is that the researchers managed to print a handle around a screwdriver blade, meaning that customizable geometry can be designed around a product from another manufacturing process. Major players are doing serious investment in 3D-printing. Microsoft, Siemens, and Proche have contributed $82 million for Markforged. Markforged is an award-winning 3D-printing company and has produced carbon fiber and metal 3D printers. This round of funding will help them introduce new 3D printers and new materials as well as pursue a global expansion plan. Thales Alenia Space, a Franco-Italian aerospace manufacturer, has begun using 3D printed parts in the production of its satellites. These parts have highly specified designs and are undergoing extensive testing and inspection. Michigan-based medical technology company RTI Surgical has enrolled its first patient for evaluation of its Fortilink Interbody Fusion (IBF) 3D-printed implants. The patient suffers from Degenerative Disc Disease. These implants are designed with nano-rough surfaces for enhanced absorption, bioactivity, cell adhesion, and tissue growth. They promise to better connect with living bone than currently in-use implants.